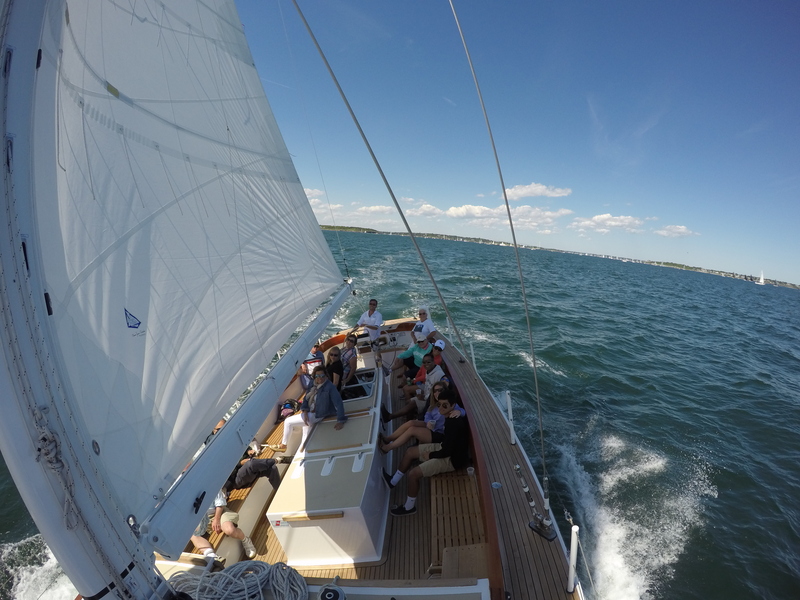 Meet the newest member of our fleet, Eleanor. 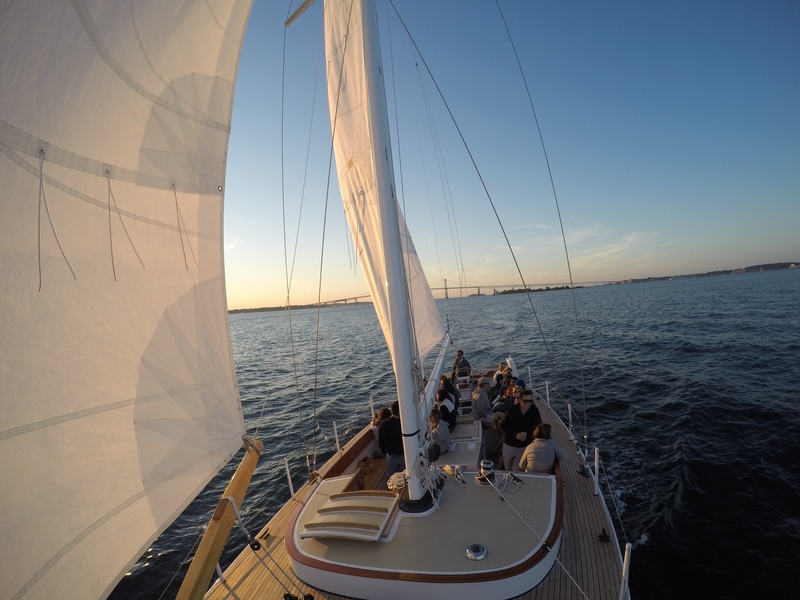 Just launched in Albany in May 2016, she’s a custom designed Scarano 48’ sloop that can accommodate up to 24 guests in her roomy cockpit with wrap around seating. 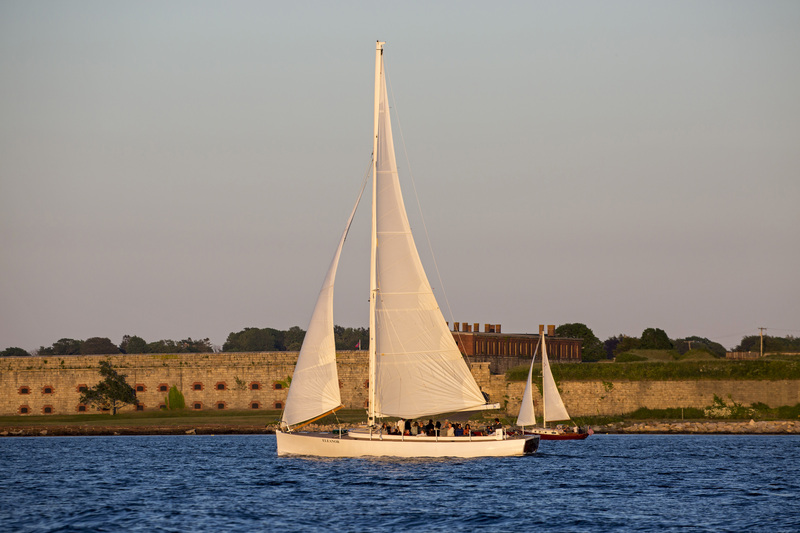 Her size and classic lines make Eleanor the perfect boat for more intimate corporate and private sailing charters, leisurely day sails and sunset cruises on Newport Harbor and Narragansett Bay. 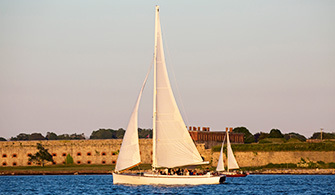 Sit back, relax and enjoy the beautiful coastal scenery while our experienced captain and knowledgeable crew fill you with the lore of yesteryear while sailing on the bay. 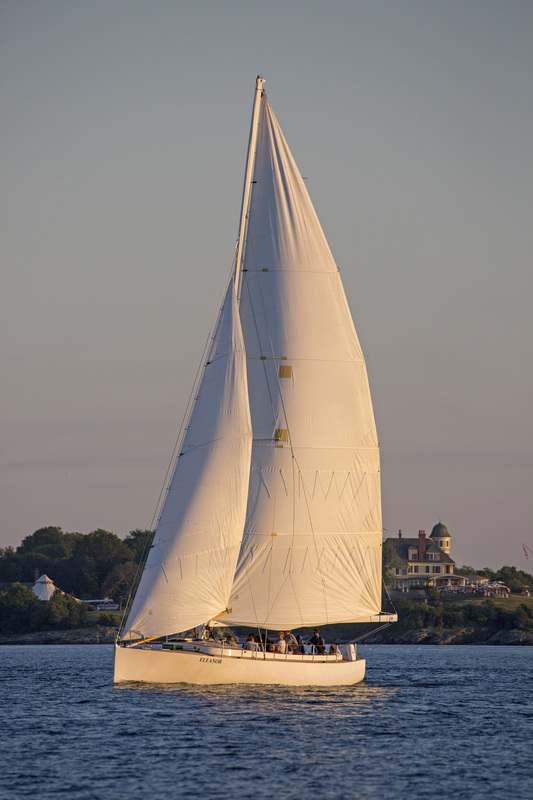 She becomes available for ticketed sails approximately a week before the date.